I would like to add a many to many relation ship between tables. 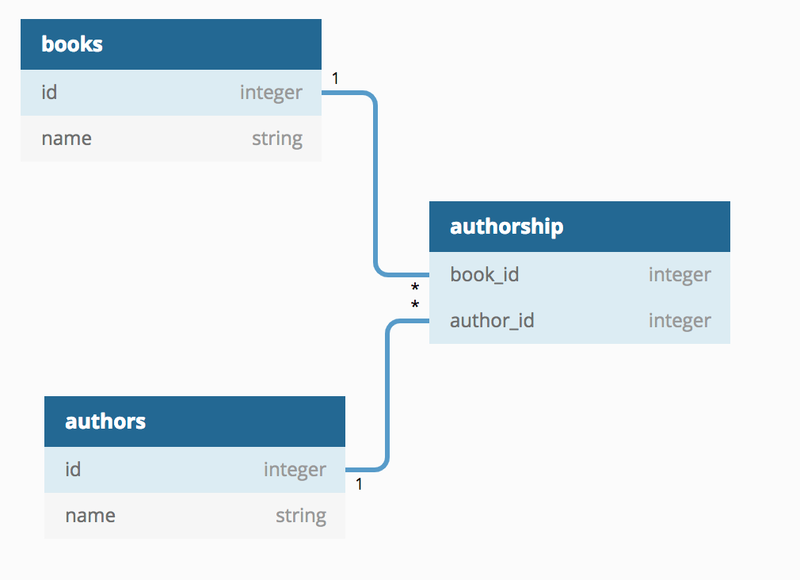 That means there should be an Authorship table with (BookID, AuthorID) that indicates these links. Do you mean to write the diagram without mentioning the Authorship table at all?